Touch Dynamic (South Plainfield, NJ) has stocked its new back-office PC, designated Orion Ultra. In footprint of 10.4 in. (H) x 11.8 in. (W) x 5.2 in. (D), with weight of 14.3 lbs., Orion Ultra increases the performance of its predecessor Orion with Intel Kaby Lake Series CPU (Celeron, i3, i5, i7), 32-GB RAM, and support for dual Hard Disk Drive (with or without RAID). A roster of I/O's includes 9 x USB (including Powered USB), 3 x Serial, 1 x Ethernet, and 1 x Cash Drawer. Also, Display, VGA, HDMI, and DVI Support. As O/S, there's Windows 10 Professional, Windows 10 IoT, and Linux. "Orion Ultra back-office PC is equipped to handle applications for point-of-sale more quickly and efficiently than any other server-class PC on the market," flourished Touch Dynamic. A new romance in payments, with Worldpay now supporting acceptance of Amazon Pay. A first in the industry, according to the two parties, and "natural evolution," such integration utilizes Worldpay's API (Application Programming Interface). As acquirer and gateway provider with Amazon, Worldpay proposes to simplify onboarding of merchants while centralizing payments. It cites improved consistency in settlement, data reporting, dispute management, and reconciliation. "By teaming up with Amazon, we have an even stronger capacity to enable digital commerce, streamline the checkout experience, and drive frictionless payments for our merchants," proclaimed Asif Ramji, Chief Product and Marketing Officer at Worldpay (Cincinnati, OH). "Consumer adoption of digital payments is growing rapidly and merchants need to keep pace with demand. At Worldpay, it's our responsibility to make it quick and easy for our merchants to add new payment options, and enable their customers to pay in the way they want." 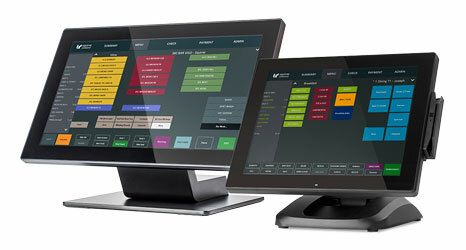 A roll-out of new POS from Squirrel Systems (Vancouver, BC, Canada): Models WS150, WS150H, and WS140H. Running Windows 10 O/S, WS150 and WS150H feature 15" bezel-less projected-capacitive touchscreens (Standard 4:3, 1024x768 for WS150 and Widescreen 16:9, 1920x1080 for WS150H). As CPU, WS150 has Intel Apollo Lake, while WS150H has Intel Quad-Core Celeron. As markets, Squirrel cited complex hospitality environments such as hotels, resorts, casinos. Also offering the choice of Squirrel Linux O/S, the new WS140H features 14" bezel-less projected-capacitive touchscreen (Widescreen 16:9, 1920x1080). As CPU, it has ARM Quad-Core. Adjustable screen tilt and height via two-hinge stand for the WS150, WS150H, and WS140H, along with multiple I/O's (USB, Serial, Ethernet). 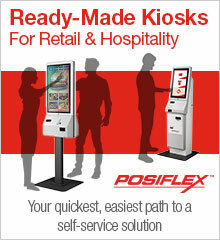 As options, there's wall mount, MSR, and customer-facing displays (2x20 VFD and 9" LCD). 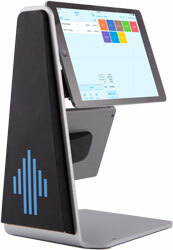 "Squirrel introduced the first touchscreen POS terminal to the hospitality market and our customers expect us to continue that tradition of innovation," reflected Jason Leeson, President of Squirrel Systems. "These new terminals are our most stylish and adaptable to date, and have been designed to complement our mobility options for tableside ordering." At the same time, Squirrel has released its enhanced, more deeply featured, Squirrel 11 Software. 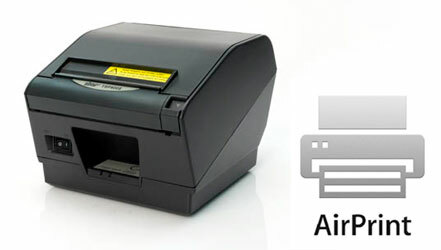 "We look forward to simplifying our customers' businesses with the TSP847II AirPrint," shared Christophe Naasz, Director of Business Development at Star Micronics America. 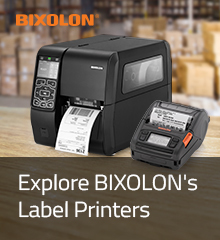 "This 'plug and play' printer is the perfect solution for applications that generally do not support direct printing." In addition to indoor use, this includes food delivery, law enforcement, and field service, according to Star Micronics America. Feig Electronics (Duluth, GA) has unveiled its hybrid barcode and RFID wearable device, appropriately named HyWEAR. Accommodating 1D/2D symbologies, and EPC Class 1 Gen 2 RFID (902 to 928 MHz for FCC, 865 to 868 MHz for EU), the HyWEAR frees both hands of the employee to perform work, noted Feig. 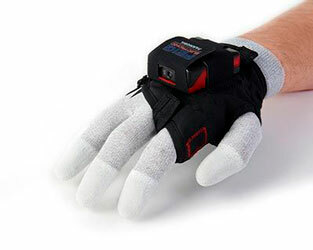 A reader system slips on the back of the hand with fingerless, comfortable glove; it measures 2.4 in. (W) x 2 in. (H) x 0.9 in. (D) and weighs 2.5 oz. As communications, HyWEAR has Bluetooth 5.0 and dual-band 802.11 Wi-Fi. It furnishes visible, buzzer, and vibration feedback, with exchangeable, shift-length 3.7-V 1000-mAh Lithium-Polymer battery. As durability, the reader has an IP-54 rating for water and dust and 5-ft./1.5-m drop resistance. A temperature range of 0 to 55 Degrees C/32 to 130 Degrees F is cited. A four-bay battery charger is also provided. "In testing, the HyWEAR compact has shown a three second per bag improvement in loading and unloading planes," reported Manuel Haertle, Senior Product Manager for Feig Electronics. "In the case of Atlanta, the largest airport in the U.S. with over 880,000 flights annually, that means potential savings of nearly 90,000 man hours, allowing additional arrival or departure flights." Applications in other areas include warehousing, distribution, manufacturing, parcel delivery, and waste disposal services, according to Feig Electronics. 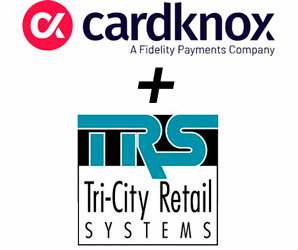 A partnership has emerged between payment processor Cardknox (Lakewood, NJ) and POS VAR Tri-City Retail Systems (Niagara Falls, NY and Waterloo, ON, Canada). 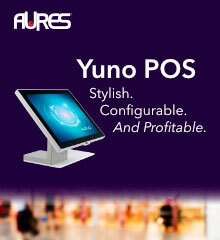 It enables tokenized MSR, EMV, and Mobile Wallets for MyPOS Connect POS offered by Tri-City Retail Systems. A longtime leading reseller of Microsoft Retail Management System (RMS), Tri-City Retail Systems has embraced another solution--cloud-based MyPOS from the UK--at the end of support for Microsoft RMS. Significantly, it works with central database in the IBM Cloud. In addition, Cardknox has adopted popular PCI-Validated P2PE (Point-to-Point Encryption) from Bluefin (Atlanta, GA). With its "Decryptx" Decryption-as-a-Service, or DaaS, Bluefin increases payment data security for gateways, processors, and ISVs with an offsite HSM (Hardware Security Module). Online management of the process takes place in Bluefin's P2PE Manager. 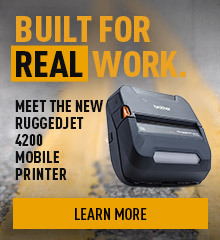 As payment terminals, Cardknox employs the Ingenico iSC250, Verifone MX915, and ID TECH Augusta S.
A bundle between payment terminal maker PAX Technologies (Jacksonville, FL) and software ISV SecureTablePay (London, ON, Canada and Seattle, WA) furthers pay-at-the table for the restaurant industry in the U.S. Utilizing the PAX Model A920, with Android 6 O/S and "PAXSTORE," this solution enables MSR, Chip-and-Signature or Chip-and-PIN EMV, and Contactless NFC. A division of Posera Ltd., parent of popular Maitre'D POS Software, SecureTablePay currently has over 10,000 sites, mostly in Canada. "PAX Technology is a true innovator in the global electronic payments space, and we're very happy to be partnering with them," expressed Akash Sahai, President of SecureTablePay. "PAX's A920 is a great combination of form and function, and its sleek design marries perfectly with SecureTablePay's own contemporary graphic user interface (GUI). Our combined technologies' operational and security capabilities ensure the utmost convenience for merchants, servers, and guests." 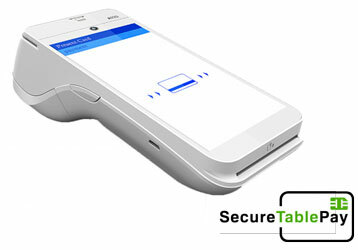 A PAX A920/SecureTablePay works with leading players in payment processing and POS, according to the two parties. As significant features of the PAX A920, there's 5" capacitive color touchscreen (720x1280) with backlit LCD, 2" thermal receipt printer, 5-megapixel auto zoom camera, and rechargeable 3.7-V 5250-mAh Lithium-Ion battery. In size of 6.9 in. (L) x 3.1 in. (W) x 2.2 in. (D), and weighing 1 lb., the PAX A920 meets Payment Card Industry (PCI) PTS 5.x Certification and EMV Level 1 and 2. As wireless, there's Bluetooth 4.0, 802.11 Wi-Fi, and 4G LTE. "By adding convenience, new payment options, and better security to the payment experience, today's modern restauranteurs will easily recognize value from utilizing SecureTablePay," suggested Patty Walters, SVP of Security and Services at PAX Technology. Netsurion (Ft. Lauderdale, FL) has launched its new product, BranchSDO. 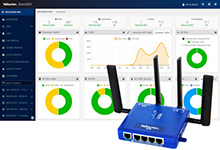 It combines Netsurion's CXD, its plug-and-play edge device, and Netsurion's BranchSDO Orchestrator, to deliver advanced security and threat protection, cellular fail-over, managed Wi-Fi, and Payment Card Industry Data Security Standards (PCI-DSS). To meet each customer's specific requirements, the company offers choice of delivery models that may be managed by the customer, the customer's IT service provider (MSP), or by Netsurion. "All businesses struggle to balance network agility with expense reduction and the need for cybersecurity, but the problem is most acute in companies that have multiple sites such as branch offices or distributed retail or hospitality locations," observed John Ayers, Netsurion's VP of Product. "At Netsurion, we have a long and successful track record of working as an extension of IT teams to help these widely distributed organizations solve their networking and security problems efficiently and effectively. BranchSDO builds on that foundation." 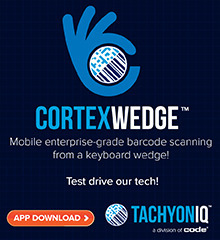 Noting the need for migration to Android O/S, Dan Hogan, StayLinked's President, commented, "Using StayLinked SmartTE on the AML Scepter allows warehouses to migrate terminal emulation applications to touch-only devices, quickly and easily, without ever touching the host application. Additionally, with StayLinked IQ, customers can now gain valuable insights into business operations." In his remarks, Mike Kearby, President of AML, emphasized "fast, reliable data connectivity with contemporary user interface (UI)" from Scepter and StayLinked. Introduced in 2017, AML's Scepter features 5" LCD with projected-capacitive touchscreen (480x800), 47-key backlit alphanumeric keyboard or optional numeric backlit keyboard, and Android 6 O/S. Weighing 24 oz., with dimensions of 9.5 in. (L) x 4 in. (W) x 1.75 in. (D), without pistol-grip handle, it carries 1D or 2D scanner, integrated dual-beam flashlight with secondary trigger, optional 5-megapixel camera, Bluetooth 4.0 BLE, and 802.11 Wi-Fi. Additional features include 550-nit sunlight screen readability, 25 Watt-Hour Lithium-Ion battery, IP-65 rating for water and dust, and 6-ft./1.8-m drop resistance. AML announced an MSRP of $1,995 for Scepter. Another road into self-service for Xenial, the enterprise arm for POS at processor Global Payments (Atlanta, GA): partnership with CBORD (Ithaca, NY). With this relationship, kiosk technologies from Xenial will be integrated with CBORD POS for ordering and payment of meals at college campuses and hospitals. In addition to faster service and fewer mistakes for customers, and tracking of history, the technology offers customized ordering options, resulting in 15% higher value, according to CBORD. "At Xenial, we strive to create quick and efficient experiences for consumers, while helping food-service providers promote quality, variety, and nutritive vale in their menus," indicated Christopher Sebes, President of Xenial. Added Jim Hoefflin, President of CBORD and Horizon Software, "By teaming up with Xenial, we have created a frictionless experience for the patron, empowering them to quickly order and pay with a variety of methods, including meals plans and declining balances." Expect additional integrations. Revel Systems (San Francisco, CA) has rolled out its cloud- and tablet-based Revel Enterprise POS for golf instruction, course simulation, and club-fitting chain, Golftec. With its headquarters in Englewood, CO, Golftec has approximately 200 locations across North America and Asia. As pre-configuration, starting in 2018, it worked with the professional services team at Revel. A one-day global roll-out followed. As benefits of Revel Enterprise POS, Golftec cited centralized multi-location management, an open API (Application Programming Interface), and in-console purchase ordering. Additionally, golf-specific features and customer relationship management (CRM) are integrated via API. 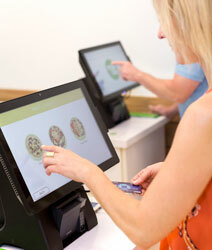 Also supplied for franchisees: centralized onboarding and accompanying educational resources. With its new system, Golftec can push out its critical data and pricing updates to its 200 locations "with one click," according to the two parties. "We've opened more than 40 centers the past two years and needed a mature and powerful enterprise POS platform that could scale and grow with us," relayed Flynn McLain, VP of Technology with Golftec. "We are extremely impressed by the rapid implementation of Revel Enterprise across our territories. Revel POS enables us to run our locations more efficiently with easy-to-use management tools and integrated payment support." According to its website, Revel recruits "Certified Resellers" as well as referring "Channel Partners." NCR Corporation (Atlanta, GA) will deploy its next-generation software, NCR Emerald POS, for Northgate Gonzalez Markets. 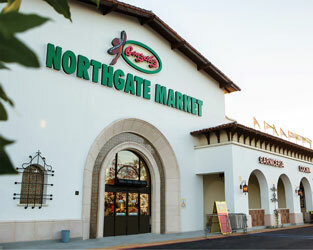 Centered in Southern California, Northgate has approximately 40 stores in Los Angeles, Orange County, and San Diego, with annual sales of $1 billion. A cloud-based platform, with industry-standard APIs (Application Programming Interfaces), NCR Emerald ties with NCR Retail ONE, NCR FastLane SelfServ Checkout, NCR Customer & Marketing, and NCR Connected Payments. 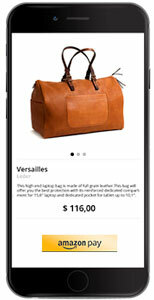 Via NCR Retail ONE, it brings third-party services. With install of NCR Emerald, Northgate hopes to drive its digital transformation, and differentiate from "pure play" online retailers. "Northgate values our strong community of customers and we are always looking for ways to innovate and enhance the customer and our associate experience," mused Harrison Lewis, CIO at Northgate. "With NCR, we believe that we have found a partner who works at our pace, truly understands the grocery business, and provides a cloud-based POS solution that will meet our current and future business needs while supporting our requirements for real-time integration." -63.2%: Hospitality is "Primary" or "Secondary"
-75.0%: Retail is "Primary" or "Secondary"
-24.2%: Grocery is "Primary" or "Secondary"
A popular figure in payments and the channel, Tom Reichart, has retired. 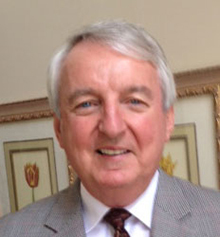 A 32-year veteran of NCR (1972 to 2004), Reichart became VP of Business Development at Mercury Payment Systems, continuing, after acquisition, with Vantiv Integrated Payments, and now Worldpay (2006 to 2019). In 2015 to 2016, he served as Chairman of the Board for the Retail Solutions Providers Association (RSPA). A new Owner of TRE and Associates, LLC, according to LinkedIn. ISV Logility (Atlanta, GA) has enlisted Mac McGary as its EVP of Global Sales. Previously, he served as Founder and President of the non-profit, blockchain-focused supply chain foundation, the Sweetbridge Alliance (2017 to 2018). Earlier roles include EVP of Global Sales at GT Nexus/Infor (2011 to 2017), Western Regional Director of Management Health Solutions (2009 to 2011), VP of QAD (2005 to 2009), Principal of Pioneer Venture Services (1998 to 2004), and Sales Manager at i2 Technologies (1995 to 1997). 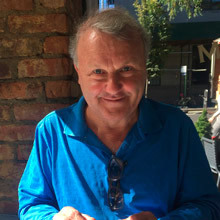 After citing a "background in driving high-growth SaaS (Software-as-a-Service) sales models combined with extensive supply chain experience" for McGary, Allan Dow, Logility's President, stated, "We are focused on helping our customers achieve a strategic advantage with their digital supply chain transformation initiatives and will continue to invest in innovative solutions leveraging artificial intelligence (AI), machine learning, and advanced analytics to increase planning automation. We believe Mac McGary will help us accelerate our growth and customer success in the years ahead." "Logility offers an unique combination of product innovation, high-touch customer-centric approach, and financial stability unheard of in the software industry," enthused McGary. "The company's vision for the future of the supply chain makes this an exciting time to join Logility, and I look forward to helping the company accelerate their digital supply chain transformation." A wholly owned subsidiary of American Software, Logility has customers such as Big Lots, Fender Musical Instruments, Husqvarna Group, Parker Hannifin, Verizon Wireless, and VF Corporation. 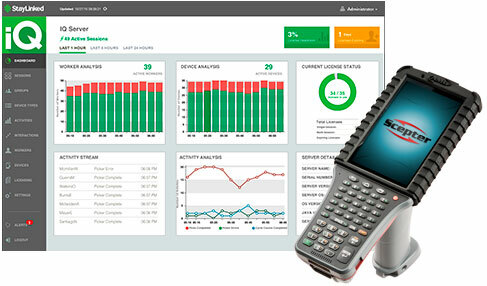 Its flagship: Logility Voyager Solutions. FreedomPay (Philadelphia, PA), which provides mobile payment and commerce solutions, has engaged John Mansfield as its VP of Business Development. He joins the company from Verifone, where he served as Senior Director for U.S. Enterprise (2008 to 2016) and VP/GM for North America (2016 to 2019). 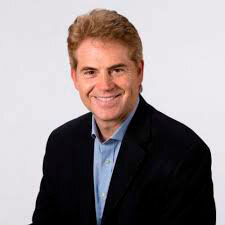 Earlier in his career, he was Regional VP of Eastern Sales for Pay By Touch (2006 to 2008). At FreedomPay, his focus will include retail, hospitality, travel, gaming, and healthcare. "John's appointment comes at a pivotal time in FreedomPay's journey, when the company is expanding into new markets and serving up a growing list of industry leaders. John's deep knowledge of the retail and hospitality sectors will add tremendous value to our current and future customers. John is a very accomplished and respected executive in the payments industry and we are excited to have him join the leadership team," contributed Tom Durovsik, Founder and CEO of FreedomPay. 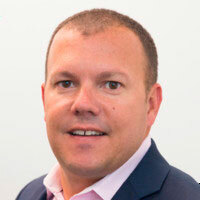 Added Mansfield, "I am delighted to be joining a strong team who has pioneered the art of 'solutioning' on behalf of merchants while the broader industry is still 'selling.' I have always admired FreedomPay's model that listens to what the markets need on both the merchant and customer side. I look forward to further strengthening our business strategy, sales, and creating valuable relationships."